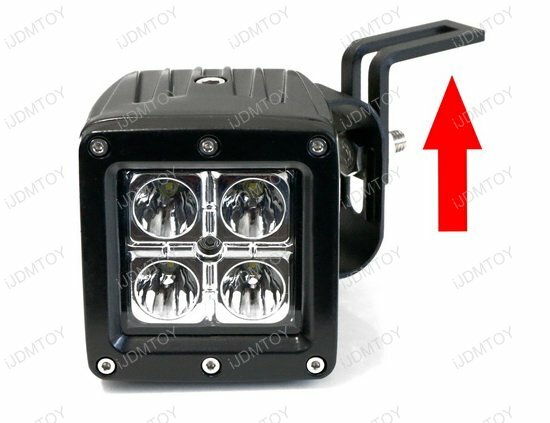 Good for backup reverse lights, search lights, rear fog lights, off road lighting etc. 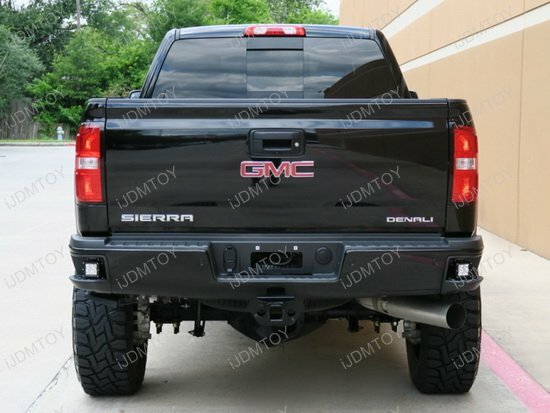 Q: What truck will this set of LED pod lights fit in? 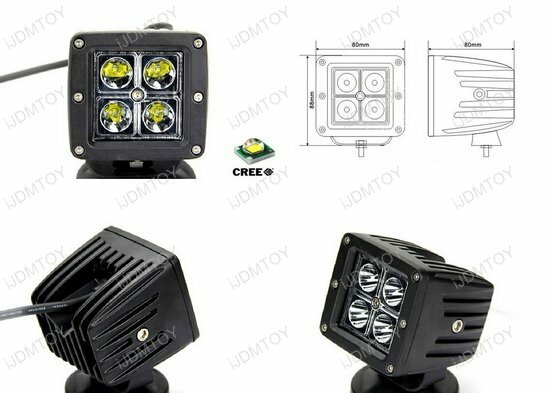 A: The 40W high powered CREE LED pod lights are made to fit on the lower rear bumper footstep of the 2015 and later Chevrolet Silverado and GMC Sierra. Q: Are there any modifications involved in this installation? A: Yes, there will be minor modifications required for this installation. You will have to drill a small hole in the foot step in order to connect the wires to your tail light harness. This hole can be drilled anywhere behind the LED pod light so it will not show up. Q: How do I install my LED light bar/pod lights with the included wiring set? A: Each of our LED light bar or pod light kits include a relay wiring harness. Because you are installing your LED light on the back side, you won't have to use the wiring set. Wiring your LED light bars or pod lights to your car battery would be hard since they are on opposite sides of your vehicle. To install, simply connect the wires to your tail light or reverse light harnesses, depending on how you want to use your LED light. If the wires are not long enough, you may use the relay wiring harness as extension wires. 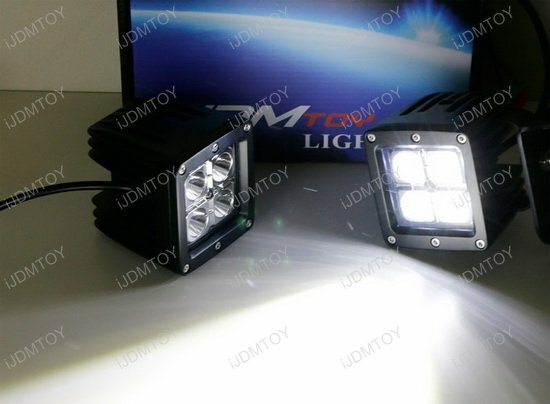 Q: How do I preassemble the LED pod lights? 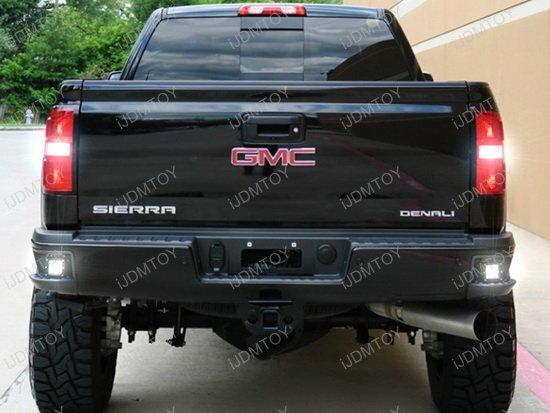 This page features the pair of high powered CREE LED pod lights made for the 2015 and later Chevy Silverado and GMC Sierra. The complete package includes (2) LED pod lights and a pair of metal mounting support brackets to install onto the side bumper foot step. Each LED pod lamp is powered by (4) xenon white 5W CREE LED XP-E emitters. 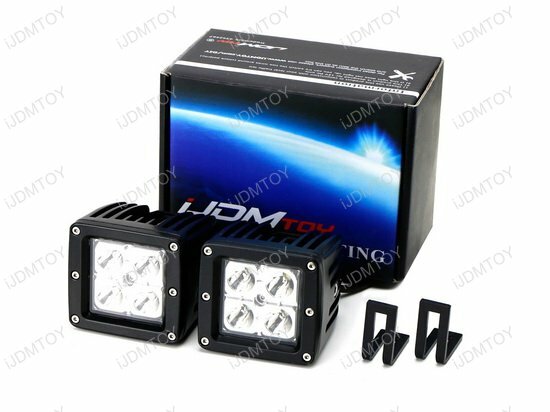 Use this pair of LED podlights to equip your Chevy or GMC pickup truck with another set of backup reverse lights, search lights, rear fog lights, off-road lights, and more. 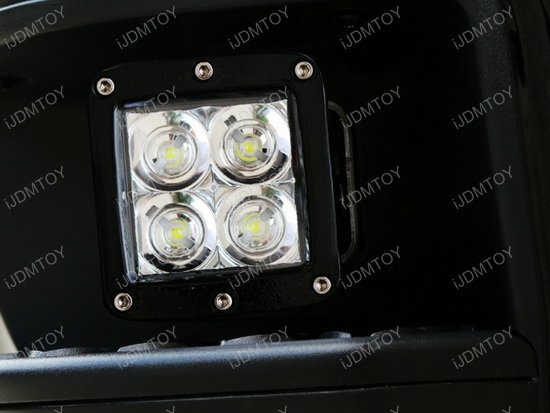 Please note that installation of these LED pod lights will involve drilling inside the side bumper foot step in order to adequately run the wires to a power source.